Heat stroke occurs when the heat-dissipating mechanisms of the body cannot accommodate excessive heat. This can lead to multisystemic organ dysfunction and in some cases death. Obviously we see heat stroke during summer, in situations such as dogs being locked in cars, dogs confined to areas without shade or ventilation, restricted access to water and excessive exercise. High humidity can also contribute to the heat stress. Dogs with heat stroke can present in a very serious condition which can be quite distressing for pet owners. Dogs with heat stroke initially exhibit signs like panting, salivating and laboured respiration which progresses to include signs such as collapse, diarrhoea (often with blood), rapid heart and respiratory rate, changes in mentation followed by seizures, coma and death. Some dogs have underlying problems which may contribute or worsen their heat stroke. Conditions such as obesity, heart or lung disease, dehydration, thick hair coats and brachycephalic breeds can be a contributing factor. During heat stroke we see body temperatures of more than 41 degrees. The critical temperature leading to multisystemic organ dysfunction is about 42.7 degrees. When the body temperature exceeds 41 degrees this causes thermal damage which can lead to cell death, deprivation of oxygen to tissues and protein breakdown. These processes can be irreversible and result in severe illness and/or death. Early recognition is the key to successful treatment of heat stroke. Dogs should be immediately immersed in water or sprayed with cold water even prior to transport to the veterinary clinic. Once at the vet clinic we will start actively cooling the patient, provide shock treatment with intravenous fluids and oxygen support if needed. We will then run some laboratory tests and manage the secondary complications that may develop. Unfortunately some patients with severe heat stroke do die. 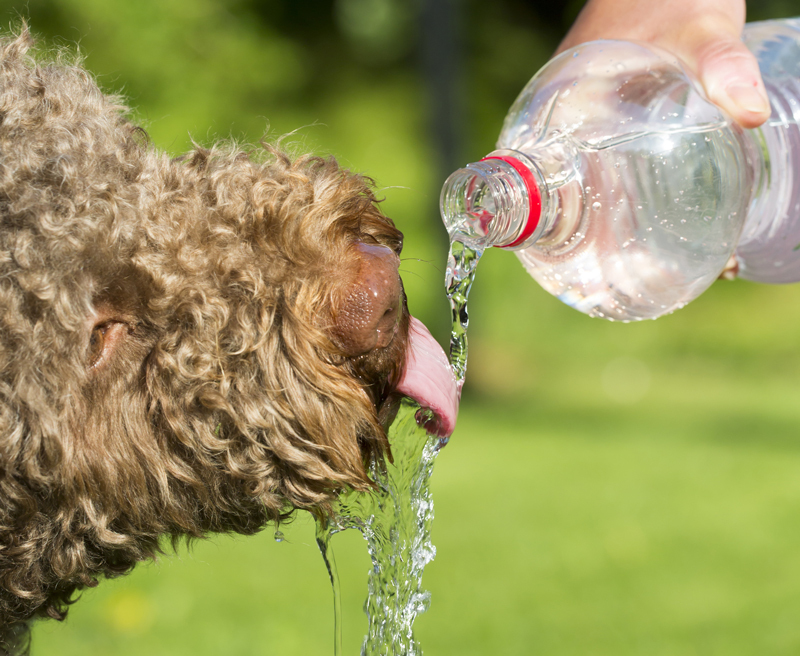 The main thing to remember is if you suspect heat stroke in your dog, RING THE VET IMMEDIATELY and immerse your dog in cold water even prior to seeking veterinary help.